CHICAGO (WLS) -- Police are asking for the public's help to locate a 13-year-old girl missing from Chicago's West Rogers Park neighborhood. 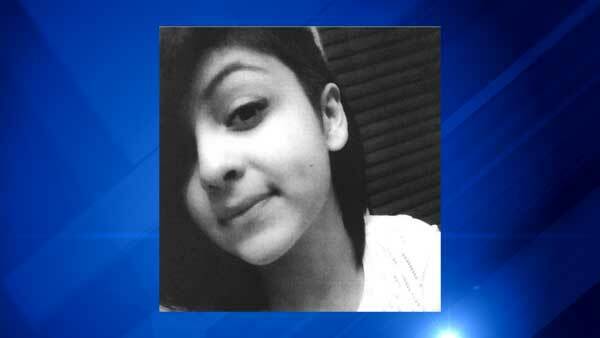 Luz Avalos, 13, was reported missing from the 7400-block of North Oakley Avenue on Tuesday. Police said she is known to spend time in the area of Western and Lunt avenues and may be with a Hispanic male who drivers a white Ford truck. Avalos is a Hispanic girl with a light complexion, brown hair and brown eyes. She is about 5 ft. 2 in. tall and weighs around 110 lbs. Police said she was last seen wearing a black and gray hooded sweatshirt, khaki pants, a black shirt and black Air Jordans.